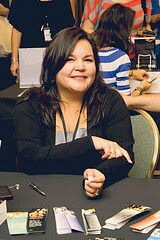 Adoration is not profound enough a word to express the depth of my love for her. From the moment she walked into my life and set my heart and soul on fire, not a day's gone by that she hasn't plagued my every thought. We were each other's completion. She was everything I wasn't--the sigh to my roar, the virtue to my sin, the cure to my wounds. That I've survived such a tragedy without having completely lost it, is a mystery in itself. But as my mind starts to blur the lines between reality and my delusional heart, I begin to question everything, including my sanity. Readers can enter by liking & following ANY of my social media and by sharing, liking tagging friends, and or commenting on any of the release day posts on my sites. They can do one or all but are not required to do all. One comment will automatically enter them. IMPORTANT: In order to make sure they're entered they'll need to use the #WeWereOne hashtag. 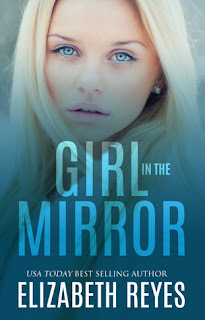 Girl In The Mirror was supposed to be a standalone book, but I'm so excited that Elizabeth Reyes decided to take it into another direction and created the Looking Glass Series. We Were One is an alternate POV novel that felt like I was reading something entirely new. I absolutely love when authors write male POV's and Elizabeth Reyes completely stole my breath away with Nico's POV. He's such a fascinating character and the love he has for his girl his heart-melting. 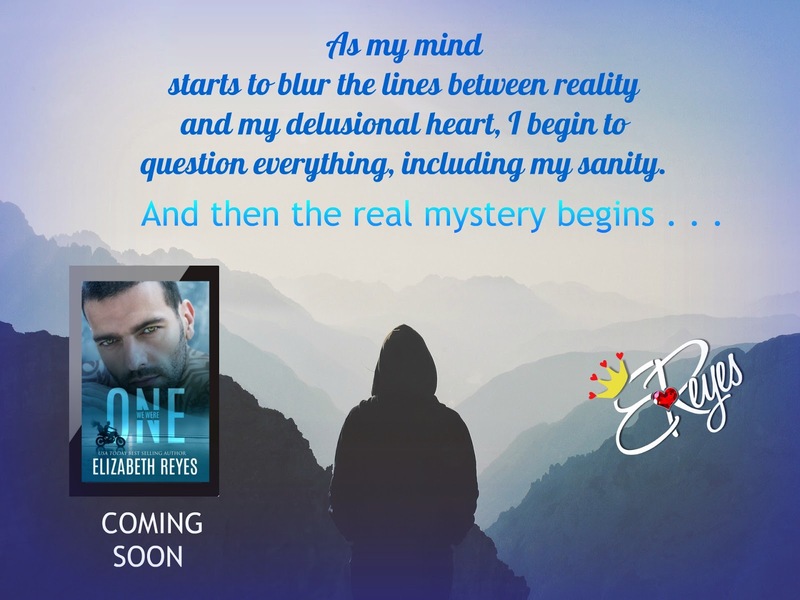 I won't go into details about what happens in the story because I feel that every reader needs to experience the complete Looking Glass reading journey from the very beginning. What I am going to discuss is how this book gave me all the feels. It was such an emotional book that made me feel a hurricane of emotions. This story is full of passionate, tender, heart-breaking and emotional moments. Nico's love for his girl is so powerful that when tragedy strikes, a river of tears will fall on your cheeks and you will be left with a ball of emotions that you can't control. Tissues are highly recommended! When I read Girl In The Mirror, I was trying to put together the pieces of an intricate puzzle. 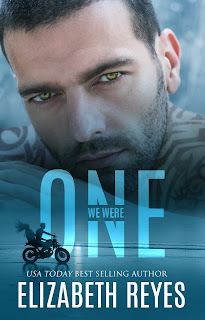 With We Were One, I got to see that even if Girl In The Mirror was a fantastic novel, Nico's POV was such a powerful addition to that story. Elizabeth Reyes gave a wonderful gift to her readers when she wrote We Were One. There is no better gift for a reader than to reunite with characters that own a piece of their heart. 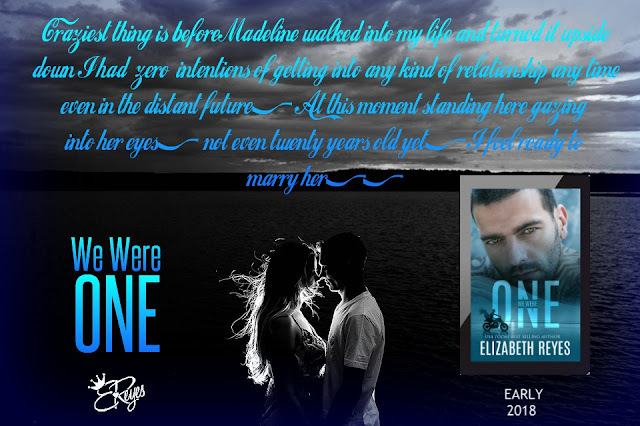 I give, We Were One, by Elizabeth Reyes, 5 profound, passionate, gripping, you had me at Vroom stars!